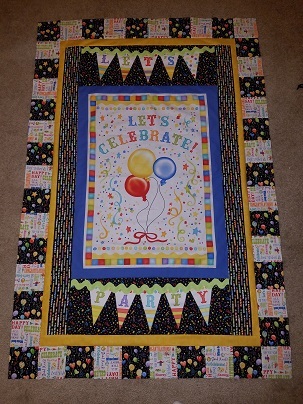 I knew if I just hunkered down I’d be able to get this quilt top finished and I did. It’s really not complicated but there are definitely elements that I am proud of. First, the applique work that I had to do. Last week I focused on the triangle portion of the banners and this week I had to finish up the ‘string’ portion. 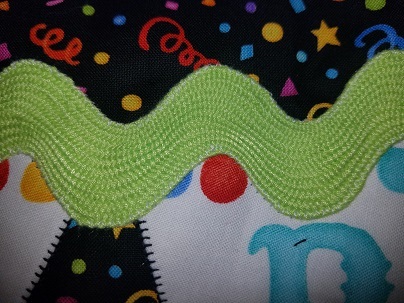 It was was not as easy task because it was wavy as opposed to straight so I had to make lots of curves. 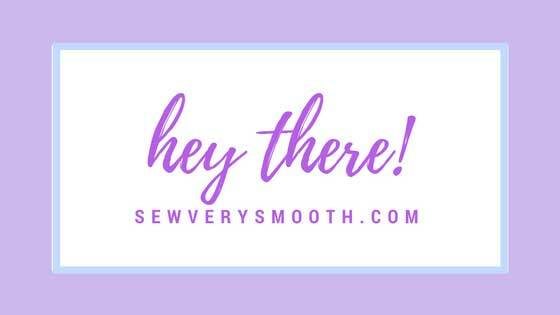 While I love the blanket stitch, I knew it was not going to be easy to do with so many twists and turns so I opted for the zig zag stitch instead. I had to use white thread because I didn’t have the right shade of green and I didn’t want to go out and buy some just for this small portion of the project. Thankfully, the white blends in really well and you really can’t see it unless you look for it. 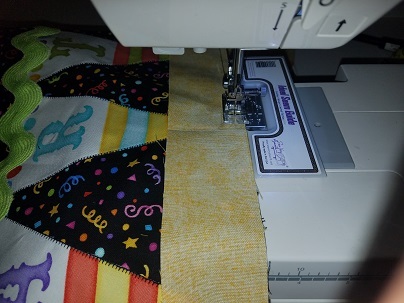 The second area that I am very proud of is the final border that is made up of many four inch blocks sewn together. I was worried they wouldn’t line up properly and it would look strange, especially since the corners each have a perfect squares in them. Two of the borders I made fit perfectly while the other two were just slightly too long. Being an outside the box thinker I came up with the idea of taking in the center two blocks just a smidge to shorten the over all length without affecting the size of the end squares which make up the corners and need to be exactly the same size. The size difference is so slight that you can’t even tell which blocks are slightly shorter than the rest, even when you know that they’re there. The next step is to piece together the backing and then decide on how I want to quilt this beauty. I’m really hoping to have this completely finished by April 30th so it will be available for my beautiful third born to use during May, her birthday month. I’m confident with my ability to quilt straight lines, but not so much with my free motion quilting. I’m hoping to do a combination of the two, but if it proves too difficult then I will stick with the straight lines. I’m excited to see how this turns out.